Wedged between glistening beaches and pristine rainforest, the Gold Coast is a sports lover’s paradise – and the ideal place to host the the world’s second biggest multi-sport event. One of the big reasons this sunny corner of South East Queensland won the right to host the 2018 Commonwealth Games was because 80% of the proposed venues were already in place — so check out the 17 arenas where some of the world’s finest athletes will be strutting their stuff between April 4-15, 2018. 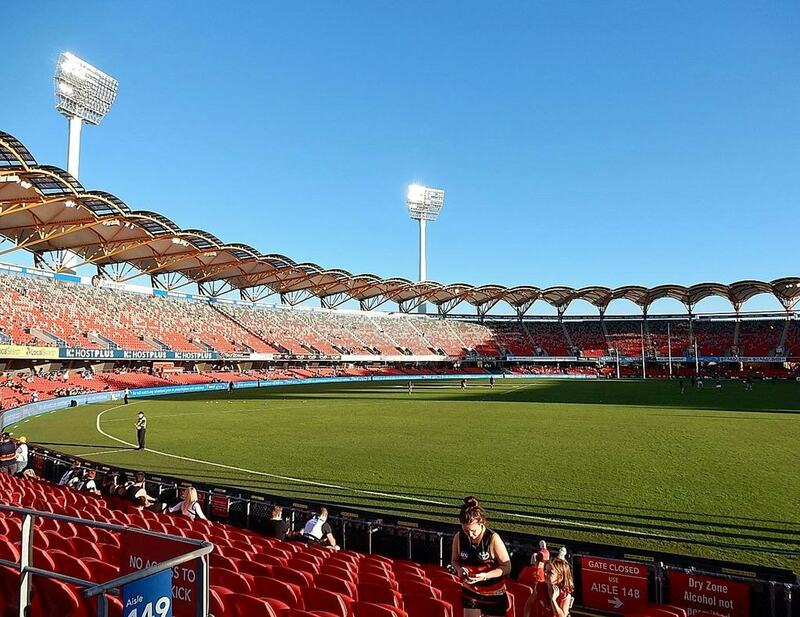 This ground was home to both Australian rules and rugby league on the Gold Coast throughout the 1980s and ‘90s, before receiving a massive $144m redevelopment to prepare for the Suns’ entry into the AFL in 2011 – when it became one of the best boutique footy grounds in the country. Capacity will be boosted from 27,500 to 40,000 for the Comm Games, when Carrara Stadium will host all the athletics events as well as the Opening and Closing Ceremonies. More than $40m has been spent on upgrading the once-humble Southport Pool into a modern complex fit for high-profile international swimming and diving meets. Crowds of 10,000 will cram in for the marquee aquatic events — sports where Australia is expected to scoop the pool, literally — before the community reaps the benefits from this revamped complex, which includes six new pools, diving facilities, a fitness centre, meeting rooms and an on-site cafe. This rectangular stadium was tailor-made for the Gold Coast Titans NRL club in 2008, and has enjoyed an upgrade to meet World Rugby standards ahead of the Commonwealth Games Rugby Sevens. Surrounded by lakes and golf resorts, the 27,500-seat Robina Stadium is primed for the party atmosphere that the shortened form of rugby brings to the Comm Games. This glitzy conference and exhibition centre opened in 2004 with a $167m price tag, then got another $40m upgrade in 2009 — and its modern 5000-seat arena is preparing to host the preliminary rounds of the netball as well as the basketball finals. 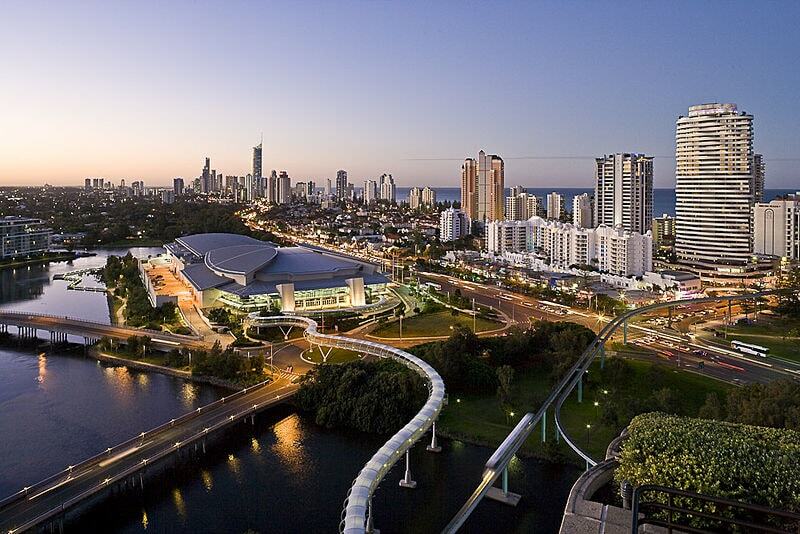 The centrally located Broadbeach venue will also serve as the Gold Coast 2018 media hub, hosting the Main Media Centre, the Main Press Centre and the International Broadcast Centre. Welcome to the biggest arena that’s been built from scratch for the 2018 Commonwealth Games. This brand new 7500-seater opened in August 2016, leaving plenty of time before it welcomes the netball finals and all the gymnastics events this autumn. The complex will also leave a long-lasting legacy in one of the fastest growing corners of the Gold Coast region north of the city centre. Residents will get to enjoy the gymnastics arena as well as eight multi-use sports courts after the Games have left town. At the southern end of the Gold Coast, the iconic Coolangatta sand will transform into a 4000-capacity beach volleyball arena with one of Australia’s most legendary surf breaks as its backdrop. The Village Roadshow Studios normally produce Hollywood blockbusters but they’ll witness drama of a different kind when up to 3000 spectators file in for boxing and table tennis events, while the Runaway Bay Sports Centre will house squash. 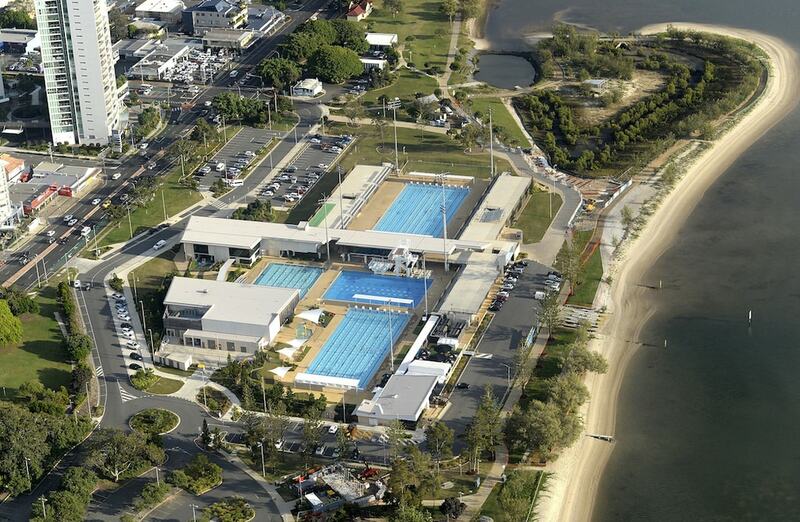 Punters can also catch a glimpse of the Comm Games at the Southport Broadwater Parklands – which will host the start and finish of the marathon, race walking and triathlon events – as well as Currumbin Valley, where road cycling will stretch along the picturesque coastline. The 5000-seat Gold Coast Hockey Centre revealed a $16.5m redevelopment in June 2017, and the Broadbeach Bowls Club has also revamped its clubhouse and bowling greens just metres from the Broadbeach sand. The 2500-capacity Carrara Sports and Leisure Centre replaces the old Carrara Indoor Stadium to host badminton, powerlifting, weightlifting and wrestling. The Nerang National Park has upgraded its trails to form the first international standard mountain-biking course in South East Queensland. Just an hour up the road in Brisbane, the 4000-seat Anna Meares Velodrome provides a sparkly new home for the track cycling events, and the Belmont Shooting Centre will host the clay target, pistol, small and full bore disciplines. Further north, the preliminary rounds of basketball will be held in Tropical North Queensland at the Cairns Convention Centre and the Townsville Entertainment and Convention Centre, each with room for 5000 spectators.